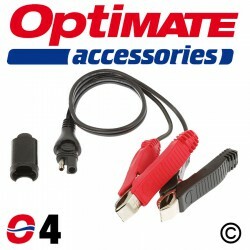 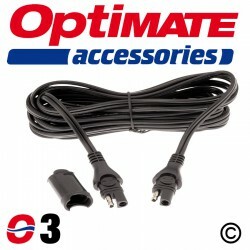 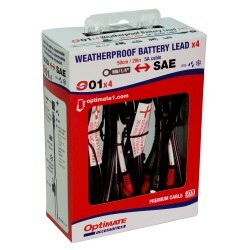 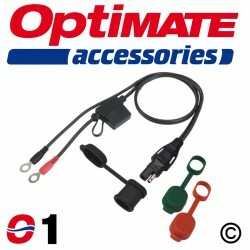 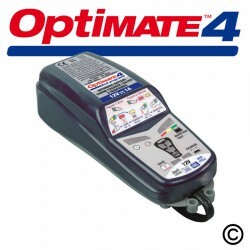 O1 OptiMate SAE Weatherproof Eyelet Lead (Package of 4). 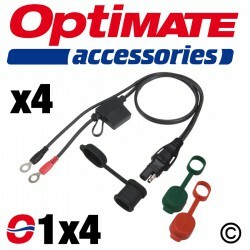 Package of 4, containing the latest version of the fused permanent connection lead - our most popular accessory. 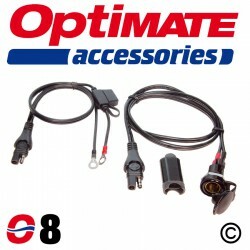 This SAE version of the fused eyelet lead is the same as those supplied with all current OptiMate chargers. 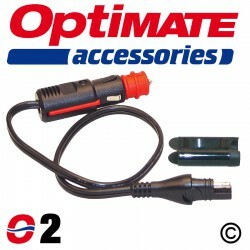 It has a rubber cover for the 2-pin connector to keep the electrical connects dry and corrosion free. 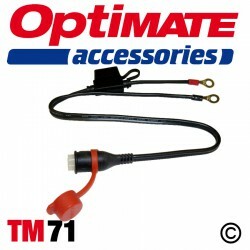 If your OptiMate or accessory has the white TM compatible connector, you need TM71.